$1 Million charitable grant to establish educational program in honor of Gymnastics Heroes to help prevent future cases of abuse in sports. Los Angeles, CA – February 7th, 2018 – The Foundation for Global Sports Development (GSD) will recognize the heroes of the Larry Nassar abuse tragedy for their courage in speaking up in the court room with GSD’s prestigious Humanitarian Award. The ceremony will be held in Los Angeles, California in March 2018. As part of the award, GSD is donating $1 Million to create an educational program that will be led by the gymnasts as ambassadors. The new program will provide educational outreach focused on changing the culture of sport and preventing future cases of abuse in sports by educating parents, coaches and athletes about emotional, physical and sexual abuse. The Foundation for Global Sports Development established the Humanitarian Award in 2010 to recognize individuals and organizations that work to preserve the values of fair play and sportsmanship in the world of sports. Recipients of this award exhibit the highest level of dedication to the Olympic movement and promoting a positive culture of sport. The Foundation for Global Sports Development’s nonprofit film production company, Sidewinder Films, is currently working on a documentary film that covers the horrific Larry Nassar abuse scandal and explores the weak points in a sports system that allowed a predator to abuse women for over 30 years despite consistent allegations of abuse. The film, now in production, will be announced later this year. 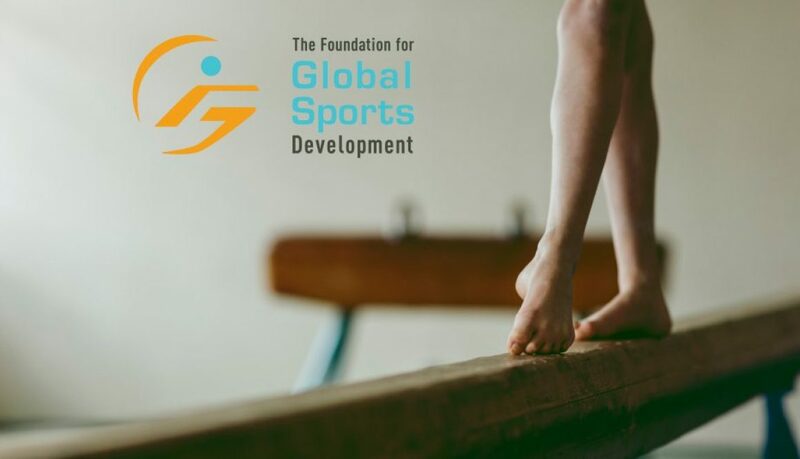 To learn more about the Humanitarian Award and GSD’s decades long work to fight abuse in sports please visit The Foundation for Global Sports Development’s website. Previous Humanitarian Award recipients include member of the International Olympic Committee (IOC), and twice Vice-President of International Rowing Federation, Anita DeFrantz, a chairman of the IOC’s Medical Commission, Professor Arne Ljungqvist, M.D., second President of the International Paralympic Committee, Sir Philip Craven, and first president of the World Anti-Doping Agency, Richard W. Pound. To learn more about Sidewinder Films please visit Sidewinder Films website. The Foundation for Global Sports Development founded Sidewinder Films, a 501(c)3 film production company, in furtherance of their mission to support initiatives that promote fair play, education, and the physical and developmental benefits of sports for youth around the world. Sidewinder Films seeks to bring the positive messages of sport to people through films which touch lives, tell remarkable stories, and create a lasting impact. In addition to sports-related themes, our film topics include end-of-life care, doping and its effects on the body and society, and maintaining emotional well-being throughout life transitions.